Incredible tale of love that begins in Auschwitz! 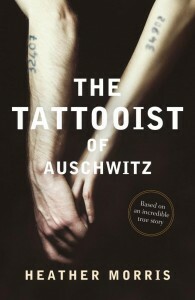 The Tattooist of Auschwitz- Heather Morris, author; Richard Armitage, narrator. This novel tells the story of Ludwig Eisenberg and Gisela Fuhrmannova. Essentially, it is a love story that defied the odds as it took place in the most unusual of places. Ludwig was known as Lale. In 1942, he was a prisoner in the Auschwitz Concentration Camp. His job was to tattoo incoming prisoners. He met Gita (Gisela), just a teenager of 17, on the day she was brought to him to have her tattoo redone because it had faded. For Lale, it seemed to be love at first sight, and he took it upon himself to protect her and insure her survival. Every Holocaust story brings with it a unique history of events, and this one is no different. It reminds the reader of the brutality and sadistic horror that the Germans, under Hitler’s Third Reich, systematically inflicted upon innocents who were guilty only of not being pure Aryans, although some were also marked because they held opposing political viewpoints. It is sad that fewer sane minds prevailed. Jews, gypsies, homosexuals, and the mentally ill were among those who were persecuted and systematically tortured, starved, worked to death or murdered outright so that Germany and Germans could enlarge their territory and prosper. The means justified their end goals. At first, I was drawn into the story because I thought it was the true story of Lale and Gita Sokolov (Lale changed his name from Eisenberg to Sokolov, his sister’s married name). As I read it and realized that the author had taken a great deal of poetic license in her presentation of events, I still enjoyed it, but not quite as a piece of history. I found it to be a compelling presentation of a romance that defied reality, and in some cases, some of the descriptions of events and experiences seemed to even defy credibility. I began to wonder how much of the story was based on fact and how much on the fiction that the author had to create when she put pen to paper. Since she did not hear actual conversations and had to rely on Sokolov’s memory and description of events, she surely had to embellish a great deal. There was so much that had to be filled in by her in order for her to write a cohesive and realistic story. Sometimes she was more successful than others as the narrative often went off into the world of a fairytale as characters that behaved with vicious brutality were often being presented with an occasional softer side. 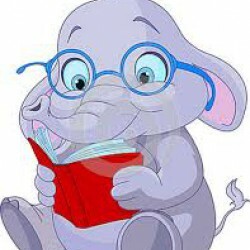 The author seemed to struggle to paint a positive side to the evil many exhibited, as if each villain had a redeeming trait to fall back on, in spite of their taking great pleasure in cruel, violent, evil behavior. To me, that softer side seemed to be far more of an anomaly and not the rule of thumb. From the description of events, it appeared almost miraculous that Gita and Lela survived what they were forced to undergo. As with many survivors, a good deal of their ability to survive was because of luck and the occasional kindness of others. Yet, even the kindness of others seemed to have had a price, since nobody seemed to turn down any of the bribes offered. It seemed as if few did anything simply out of the goodness of their hearts, but rather they did it also for the reward they would reap. The reader may well question if such a romantic relationship could have developed and thrived in a place filled with guards who relished and enjoyed their power, brutality and capacity for carnage. Still, the idea that there were some strong enough or lucky enough to survive through whatever means they could find comes through loud and clear, even when doing what was necessary meant sacrificing others to save themselves. Bargains were struck and compromises made in order to insure their survival. There were unusual friendships and choices that had to be made. Sometimes the line between collaborator and survivor was blurred. No matter how many books you read, non-fiction or historic fiction, you can never full realize the complete extent of the Holocaust horror. The narrator did a phenomenal job using perfect and appropriate accents, excellent expression and tone to present mood and the moment.